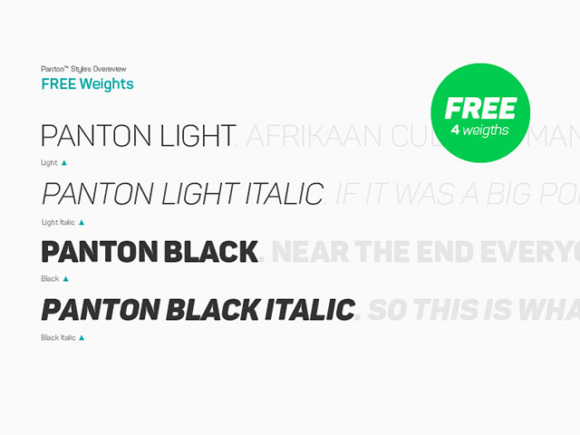 Panton is a font family inspired by the classic grotesque typefaces that comes with 4 free weights (Light, Light Italic, Black, Black Italic). Posted on January 15, 2015 September 28, 2015 in Free fonts and tagged fonts, sans-serif. This post has been viewed 28682 times.